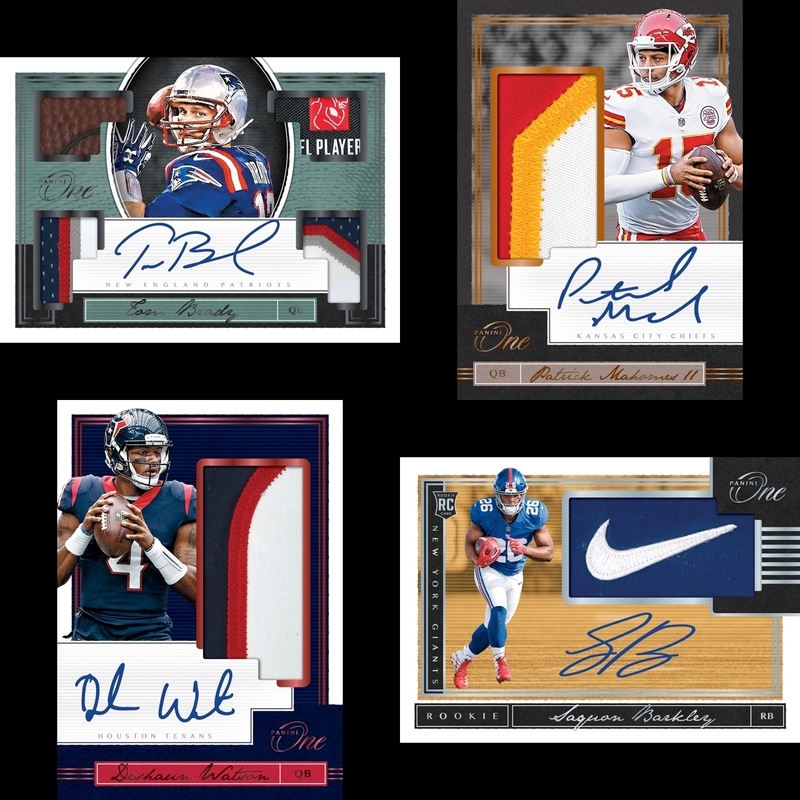 2019 PANINI PRIZM DRAFT PICKS FOOTBALL SEALED HOBBY BOX 5 AUTOGRAPHS! Thurman Thomas Auto - Award Winners 13 Bills ?? Mike Singletary Auto - Super Bowl Signatures 9 Bears ?? Leroy Kelly Auto - 50th Anniversary Hall of Fame 1 Browns ?? Paul Warfield Auto - Super Bowl Signatures 11 Browns ?? Bob Lilly Auto - Super Bowl Signatures 10 Cowboys ?? 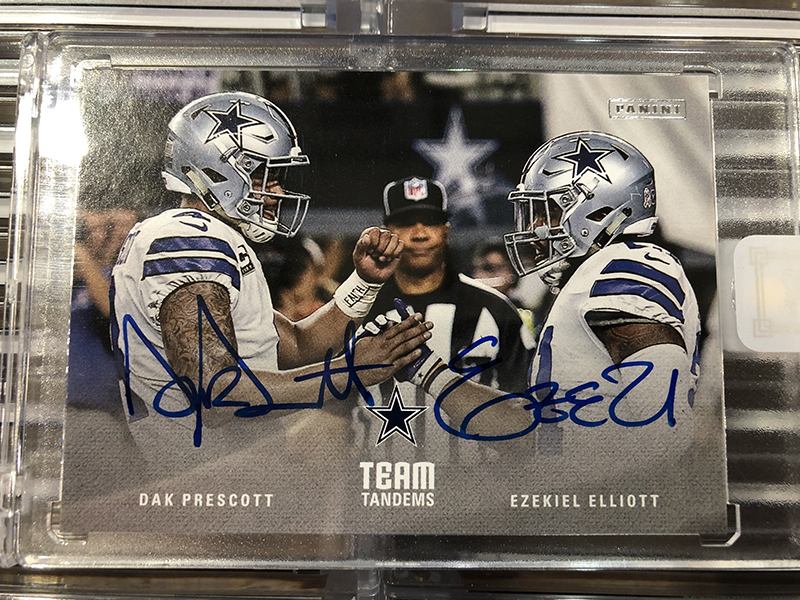 Dak Prescott Auto - Team Tandems 3 Cowboys ?? Darren Woodson Auto - Franchise Honors 10 Cowboys ?? Deion Sanders Auto - Award Winners 11 Cowboys ?? Deion Sanders Auto - Super Bowl Signatures 1 Cowboys ?? Emmitt Smith Auto - Award Winners 2 Cowboys ?? Ezekiel Elliott Auto - Team Tandems 3 Cowboys ?? Larry Allen Auto - Super Bowl Signatures 13 Cowboys ?? Roger Staubach Auto - Super Bowl Signatures 2 Cowboys ?? Rod Smith Auto - Team Tandems 2 Broncos ?? Terrell Davis Auto - Franchise Honors 5 Broncos ?? Terrell Davis Auto - Team Tandems 2 Broncos ?? Aaron Rodgers Auto - Award Winners 5 Packers ?? 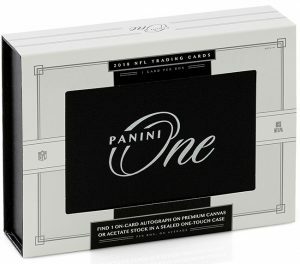 Brett Favre Auto - Franchise Honors 1 Packers ?? Charles Woodson Auto - Award Winners 6 Packers ?? Marshall Faulk Auto - Franchise Honors 3 Colts ?? Peyton Manning Auto - Award Winners 4 Colts ?? Cooper Kupp Auto - Team Tandems 1 Rams ?? Jared Goff Auto - Team Tandems 1 Rams ?? Dan Marino Auto - Award Winners 8 Dolphins ?? Jason Taylor Auto - Franchise Honors 6 Dolphins ?? Paul Warfield Auto - Super Bowl Signatures 12 Dolphins ?? Bill Parcells Auto - Franchise Honors 7 Patriots ?? Drew Bledsoe Auto - Franchise Honors 8 Patriots ?? Tom Brady Auto - Award Winners 15 Patriots ?? Michael Strahan Auto - Award Winners 12 Giants ?? Joe Namath Auto - Award Winners 10 Jets ?? Howie Long Auto - Super Bowl Signatures 8 Raiders ?? Ted Hendricks Auto - Super Bowl Signatures 5 Raiders ?? Ted Hendricks Auto - Super Bowl Signatures 6 Raiders ?? Ted Hendricks Auto - Super Bowl Signatures 7 Raiders ?? Ben Roethlisberger Auto - Award Winners 9 Steelers ?? Joe Greene Auto - Super Bowl Signatures 3 Steelers ?? Joe Greene Auto - Super Bowl Signatures 4 Steelers ?? Terry Bradshaw Auto - Award Winners 7 Steelers ?? Jerry Rice Auto - Award Winners 3 49ers ?? Jerry Rice Auto - Franchise Honors 2 49ers ?? Joe Montana Auto - Award Winners 1 49ers ?? Steve Young Auto - Franchise Honors 4 49ers ?? Steve Largent Auto - Franchise Honors 9 Seahawks ?? Earl Campbell Auto - Team Tandems 5 Titans ?? Warren Moon Auto - Team Tandems 4 Titans ?? John Riggins Auto - Award Winners 14 Redskins ? ?